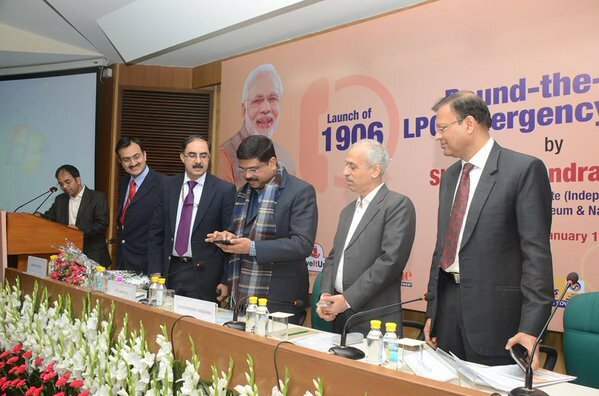 New Delhi, Jan 1: Minister of State (Independent Charge) for Petroleum & Natural Gas Shri Dharmendra Pradhan launched round the clock LPG emergency helpline number 1906 on Friday here. The emergency number is launched to provide immediate help to customers in case of LPG leakages and other emergency circumstances. In case of any emergency over LPG leakage customers can dial the number 1906 to get emergency help from the LPG companies officials. The minister announcing the launching of emergency number on his twitter handle mentioned that “Launched round the clock LPG emergency helpline-1906; by calling 1906, can get immediate help to prevent LPG leakage”. He also tweeted” Also stressed on the resolve of Ministry of PNG that 2016 will be the Year of Consumers”.